As you may remember, one of my New Year’s resolutions was to try at least one new grape every month. I’ve been far surpassing that, so I’ll just share the ones I really like and that you should add as a friend. Godello is one of those. It’s not the most popular grape in the states, but if you’re at a good Spanish restaurant you’ll probably see a Godello (pronounced go-day-o) on the list. It’s from the northwest Spanish region Galicia, mostly known for Albariño which, as we discussed last week, is also rad. But Godello isn’t quite as racy and acidic as Albariño. It’s much smoother – creamy and almost waxy. 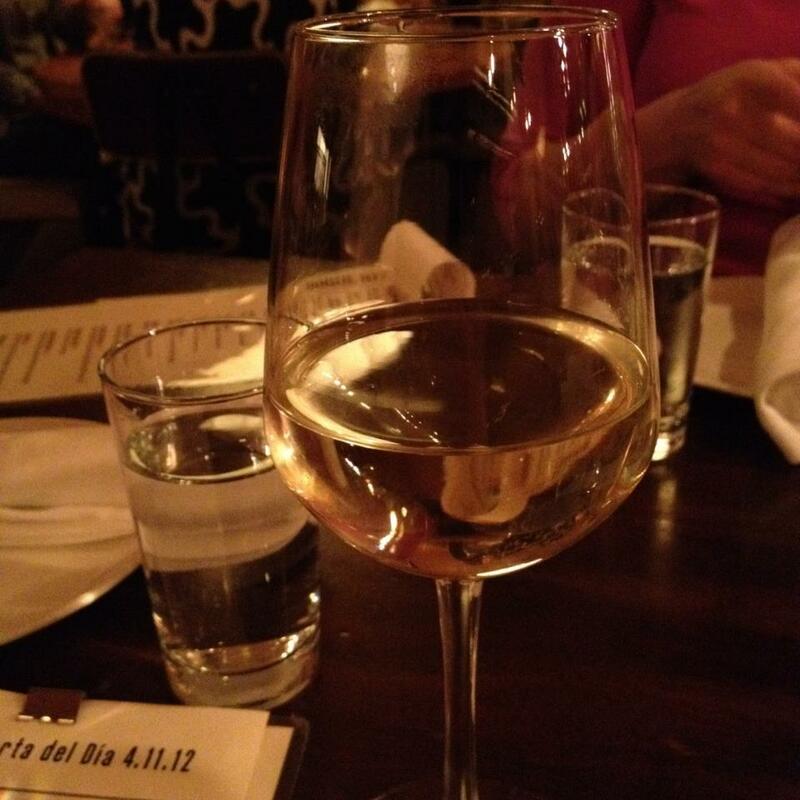 For the one I had – Viña Godeval – I got some white peach and white flowers – maybe a mild bit weak for all the spicy tapas we we’re having but I still liked it. Viña Godeval is from Valdeorras (primo Godello area) and clocks in at about $17 in store. Anyway, if you see it on the wine list now you’ve been introduced! Say hola and sip away. Tags: godello, vina godeval. Bookmark the permalink. Previous post ← heathers lunchtime poll: who’s your idol? Love adding wines to my “Must Try” list. Thanks!